Dust and pet hair are considered as the burden of housewives all the time. However, thanks to the rapid development of technology, robotic vacuum cleaners which would be supporting tools for many families were invented. These days, there is a wide range of cleaning robot for people to choose, but one of the most trustworthy products is perhaps iRobot Roomba. Today, I would be glad to show you 2 models in the Roomba series: Roomba 960 and Roomba 980 with similarities, differences together with customer reviews, which would help you make the best decision in purchasing suitable products. First, I would like to introduce shortly about brand and its models. Brand – iRobot: With 20 years of experiences in researching together with producing robot, iRobot brought forth iRobot Roomba. It is undeniable that iRobot has been the first-rate robotic floor cleaner brand all over the world with 70 to 80 percentage of market share in United States. It first came out in 2015, and was the first Roomba that you could pair with and operate from your smartphone. It is equipped with Auto-Detect Floor Type, Improved Edge Cleaning Technology, Same Enhanced Debris Extractor, HEPA filters with intention of giving the maximum result of cleaning to its users. Both the Roomba 960 and the Roomba 980 follows the same form – the circular one with dimension of 13.8 inches in width and 3.6 inches in height. Controls are in the same spots, with a large Clean button flanked by Home and Spot Cleaning buttons. Indicator lights are located above the buttons, while a camera for navigation sits at the top center. Underneath, you’ll also find the same components: two roller brushes, a side brush, cliff sensors, and a front wheel. The removable dustbin is located in the back. This design enables two robotic vacuum cleaner to move to hard-to-reach areas in your house like under beds, sofas, toe kicks. It also has the manual docking feature and comes with a carrying handle. It is similar that the Roomba 960 and the Roomba 980 are capable of Wi-Fi connectivity. It is Wi-Fi connectivity that it can be remote-controlled, and set according to what you want. The Home App is an application designed for iRobot Roomba users, and all features of the app are the same for these products. You can use it regardless of your operating system (Android or iOS). The app let you know how long the work will be done. You can also schedule the cleaning time weekly, or see cleaning history on this app. One point that the majority of users particularly were in favor of was the selection to clean more than a certain area. Clean Map reports show where your robot cleaned, along with details such as coverage and duration from completed jobs. Plus, receive Push Notifications when your robot completes a cleaning job – all on your smartphone. All the current generation Roomba are equipped with a spinning side brush and wall sweep algorithms to effectively clean against the wall. Because the Roomba is round, the side brush is required to sweep dirt along straight edges and corners into the path of the Roomba. Both models are designed to navigate around whatever is on the ground. One of the reasons why the Roomba has been prevalent is that they are usually pretty smart when navigating your house. The most important point is that both are able to navigate around your loose items. The Roomba 960 and the Roomba 980 are designed with anti-tangle technology which promises not to devour your cords, tassels, and carpet fringes. Personally I still don’t feel quite comfortable letting it run wild over my cables, though. All available Roomba models today have this technology. The Roomba 960 and 980 are both able to map and navigate multiple rooms. There is no limit to the number of rooms that these Roomba models can clean per level. Both these products will create a temporary map of your home. 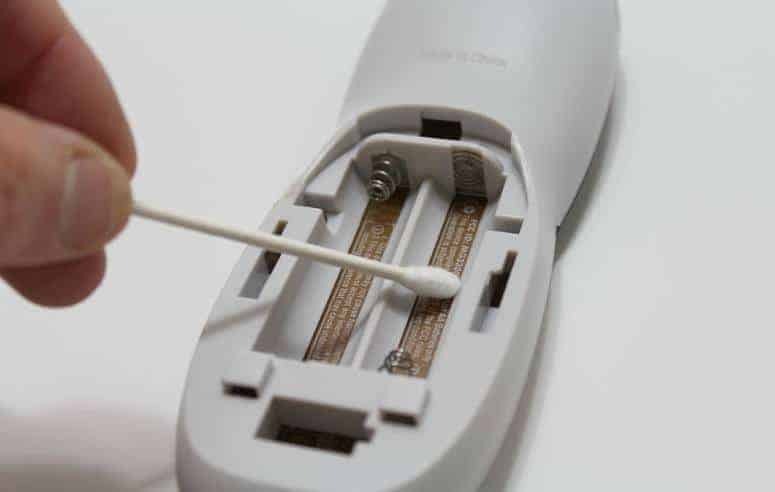 As mentioned before, if they run out of battery mid-clean, they will recharge and resume cleaning where they left off until the whole level is vacuumed. This feature is not available on lower-end Roombas. Officially, both are able to clean up to 2,000 sq ft per level. That number is slightly arbitrary but it is what iRobot guarantees that these Roomba will clean. Theoretically, there is no limit to the square footage the Roomba will vacuum in a residential house. Unless you have a mansion with 4,000+ sq ft per level, you will be fine with either of these machines. It is certain that both are able to clean multiple rooms in one go. Like the Roomba 980, the Roomba 980 Both is equipped with cliff detection technology, so you can use it to clean the upper levels of your home without worrying that it will take a plunge down the stairs. Both models excel on hard surfaces such as tile, hardwood, and laminate flooring. 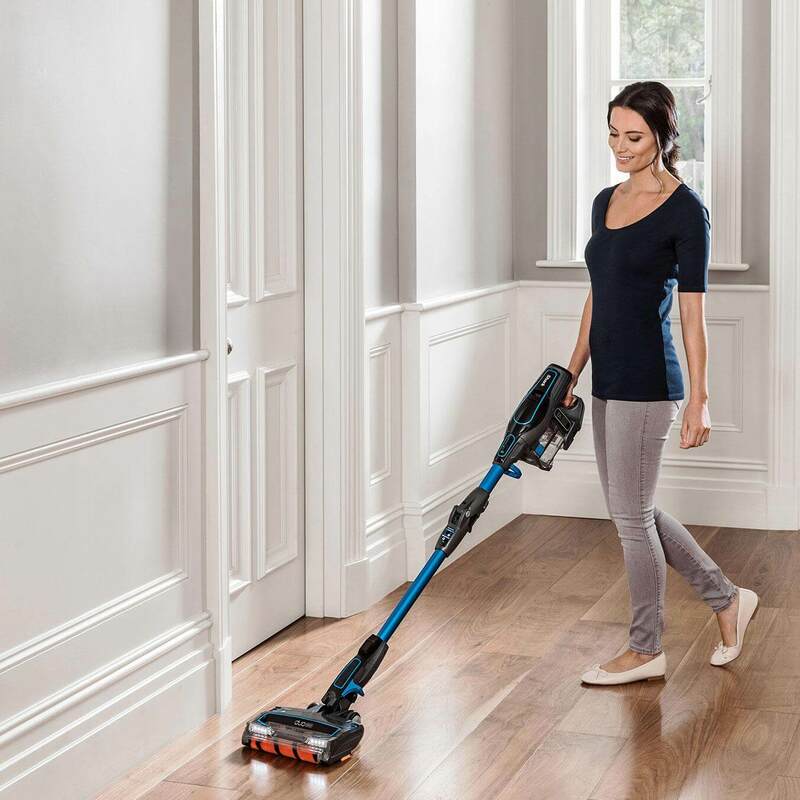 The Auto-Adjust Cleaning Head adapts its height to keep the Multi-Surface Brushes in close contact with different floor surfaces, directly engaging with hard floors. It is quite great for people who suffer from allergies. Like the Roomba 980, it also uses a HEPA filter. It uses a lithium ion battery, as well. The recharge and resume feature allows the Roomba to return to its dock when it realizes it won’t be able to finish cleaning in one go. This is called a “mid-mission recharge” and lasts for 90 minutes. After charging for 90 minutes, the Roomba will resume cleaning, picking up where it left off. Except for these iRobot Roombas, the extra sensors: the onboard camera and tracking sensor can’t be found in any models of Roombas. The first one is designed to search for things like furniture and other hard things on the floor. The latter one uses for memorizing which area the work has been done. By repeating the cleaning process many times, these robots can know the type of your floors. From then on, it can learn to clean better for the next time. Compared to the previous generation Roomba, these Roombas won’t clean again where it has gone through if you don’t say to it through the app. Maintenance should be taken into consideration when purchasing any products. Fortunately, two models of iRobot Roomba have extractors without any brushes. From my own perspective, it is this characteristic which helps Roomba models outstanding compared to other brand’s products. Without brushes, you won’t have to be worried about removing pet hair from brushes. In contrast, the rubber rollers can make the dust on the carpet loose and then go to the suction section. 1-Year Manufacturer’s Limited Warranty On Robot, 12-Month Manufacturer’s Limited Warranty On Battery. The iRobot limited warranty shall not apply to failures or problems which are caused by products or equipment not authorized by iRobot Corporation. Robot products purchased in North America are intended for use in North America only. Both the 30-day, money-back guarantee and the limited warranty are void if products are used outside North America. >>>>>>MUCH THE SAME: There are many similarities between the Roomba 980 and the Roomba 960. The Roomba 960 uses the same AeroForce vacuuming technology, the debris extractor, the full bin indicator, and the full bin action control that ensured hassle-free cleaning.It also offers entire-level cleaning, edge cleaning, cleaning passes control, and spot cleaning for you to get the level of clean that you want. It also uses the same iAdapt navigation and onboard camera to find its way around your home. Although there are many resemblances between these models, the distinctions between the Roomba 960 and the Roomba 980 should not be ignored. Roomba 960: The body of it is a lighter gray. Roomba 980: In contrast, this robot is completely black. Weight: While the Roomba 980 is 8.7 in weight, the Roomba 960 is lighter with 8.5 Ibs. Roomba 960: One full charge delivers only 75 minutes of cleaning. The Roomba 960 has a lithium-ion battery with 2130 mAh. The run time for per charging time is approximately 75 minutes. Roomba 980: It lasts longer than the 960 on one charge. The 980 model is equipped with 3000 mAh lithium-ion battery. The Roomba 980’s battery can work in 120 minutes around your house. 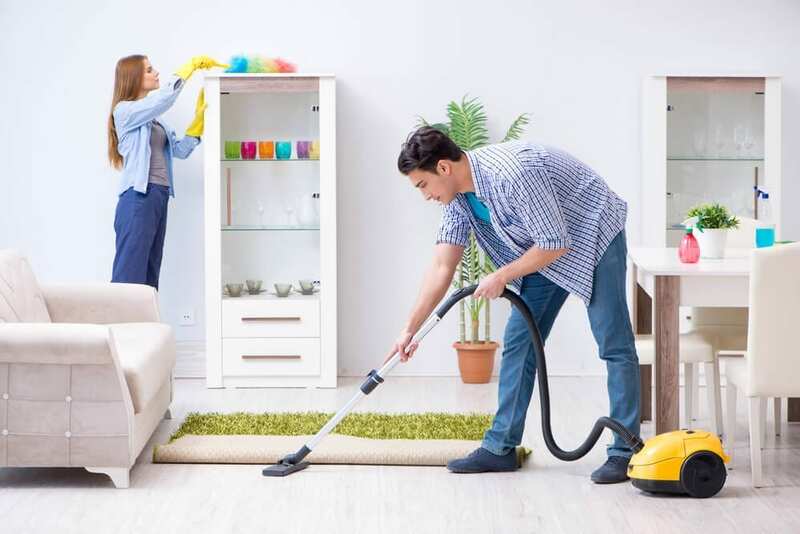 It can be indicated that the longer the run time is, the more part of your house will be cleaned in one cleaning process. If your house is spacious, I highly suggest the Roomba 980 because of its battery life. Roomba 960: This kind of iRobot comes with only one dual mode virtual wall barrier. Nevertheless, the Roomba 960 still delivers a more efficient clean than the earlier Roomba models. If you do not have carpets at home, the 960 could very well compare with the Roomba 980. Roomba 980: the Roomba 980 comes with two of these control devices. These barriers are designed with intention of marking areas of your house that Roomba do not need to vacuum. If you want to protect the area in 10 ft from being reached by the robot, you can press the Virtual Wall mode. Or you can set the Halo mode on so that you can stop the robotic vacuum cleaner from going to 26 inches circle around any thing. Roomba 980: This feature is only available on the 980, and is one of the most meaningful differences between these two models. 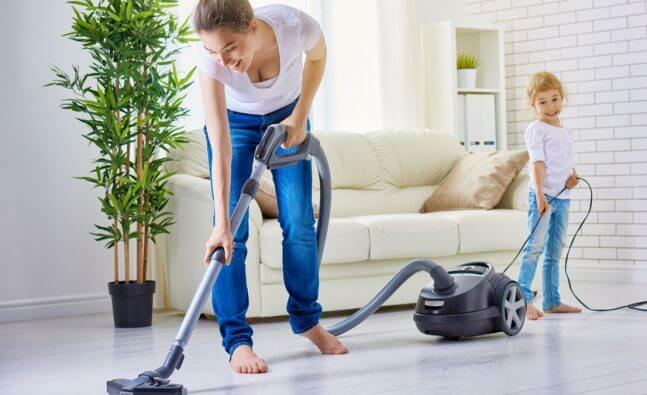 When the 980 senses that it is on a carpeted surface, carpet boost kicks in, which activates a very powerful vacuum motor that cleans your carpets more thoroughly. In comparison to the previous products of the labels, this advancement in Roomba 980 make it be strengthened 10 times. This will enable it to shake dust being deep in your rugs and carpets. Roomba 960: This outstanding feature has not been appeared in the Roomba 960 model. Roomba 980: It has 10x AeroForce system. This might make you think that the the Roomba 980 cleans twice as well. However, many users say that they did not notice any obvious differences in suction power. They perform about the same and are both quite strong in terms of suction power. 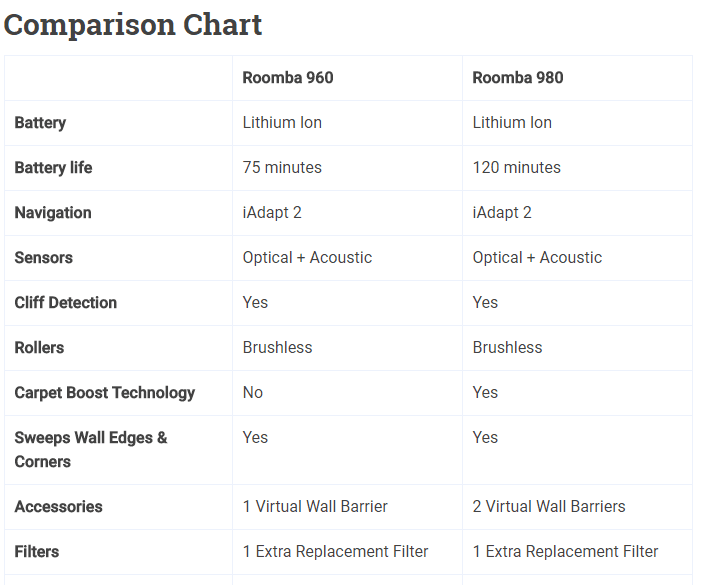 Roomba 960: To buy a Roomba 960, you need around $500. Roomba 980: It usually costs $200 more than the 960. There are some customer reviews after utilizing these products in their daily lives. More affordable. Usually there is a $200 price difference between the two models. Makes compromises only in non-essential features, such as the battery life. Roughly the same cleaning power as the 980, despite what the boxes say. Easy maintenance with tangle-free extractors. 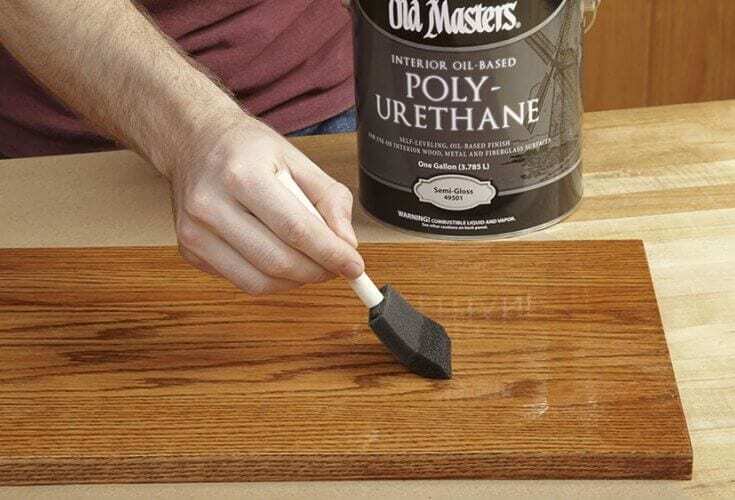 Good points: After using this products, many customers has been extremely satisfied with the cleaning effectiveness as well as the amount of dirt and his dog’s hair that the product removed from dark hardwood floors. It easy to run . The technology that prevents Roomba 960 from falling down the stairs and make it pick up very well make users feel pleasant. Additionally, it have capability of running very well on carpet, linoleum and hardwood in the same cleaning. Good points: The majority of customers who have been using the Roomba 960 in their daily lives is fairly satisfied with cleaning effective of this model. Especially, the amount of pet hair removed from carpets and hard floors makes them feel amazing. Besides, they claimed that Roomba 960 was easy to program as well as maintain. Even some users considered it as the best model in comparison to the previous purchase. And the strong suction power is also one of the favor of customers. They recommend other people to have the product in their house to have a clean environment. Bad points: Although having many outstanding features, the Roomba 960 makes about 20% of users feel irritating. Because its noise on carpet, some people might find it uncomfortable when they are on the phone. Additionally, it would be better if it had a few more virtual boundaries. And not going back to dock itself and charging when running out of battery of this product reduced level of customer’s appointment. Sometimes, it can run while away and then stop in the middle of cleaning and never completes its entire cycle making users have to restart it from the beginning and the end job never gets cleaned. There are main concerns that I have seen in the majority of people who have intention to buy robotic vacuum cleaners. In which way, can Roomba 960 steer an entire level of your house? The Roomba 960 can steer this through the following process. From the beginning of a cleaning process, the Roomba 960 uses iAdapt 2.0 Navigation with Visual Localization to navigate many parts of small areas, then to vacuum them thoroughly, one per time. Utilizing its navigation technology, it can find out the areas that the work has been done, and the parts of your house that it has not gone through. 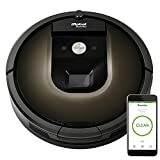 Can I run the Roomba 960 if the iRobot HOME App is not available in my phone? Of course, the Roomba 960 still work as usual without the iRobot HOME App in your phone. However, it is highly suggested that you should install this App. Without the iRobot HOME App, you might miss out on some wonderful points. Even when you work in your office, your house can still be cleaned with this app. What’s more? You may manage the cleaning schedule whenever you want. In what way, does Carpet Boost work? Roomba 980 will strengthen the power to meet your requirement of having deep clean carpets. On hardwood floors, it can decrease the power to reduce the level of battery consumption but bring the maximum cleaning effectiveness. Does this Roomba 960 hit object less than the Roomba 770? Yes, it does. It can navigate where the objects are, then it can reduce the pace. You should make a clear dust bin after utilizing it. Then remove HEPA filter from the dust bin and take dirt or hair out of it. You also need to check if there’s any objects or dirt on any parts of the models weekly, remove them (if any). 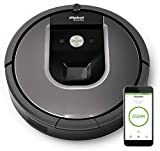 Through reading this post, you can find out both benefits and drawbacks as well as not only resemblances together with differences of iRobot Roomba 960 and 980. Besides, you can have the overall view of other customer’ experiences. From my point of view, in comparison, the Roomba 960 and the Roomba 980 are quite the same. In term of price, the Roomba 960 would be affordable. In spite of being cheaper product, the Roomba 960 is equipped with the functions of the Roomba 980 as mentioned above. From my own experience, I highly recommend that if you own a large house, it would be more appropriate for you to select the Roomba 980 with 120-minute running time, which is longer than that of the Roomba 960. Otherwise, if hardwood floor is one of your main concerns, buying the Roomba 960 would be more effective, and you can save a lot of money compared to the Roomba 980. I hope this review would be of help to you in choosing the best robotic vacuum cleaner for your house among a variety of products in the market nowadays. If you find out this is either of these vacuums that you’re looking for, you can buy Roomba 960 or Roomba 980 here.